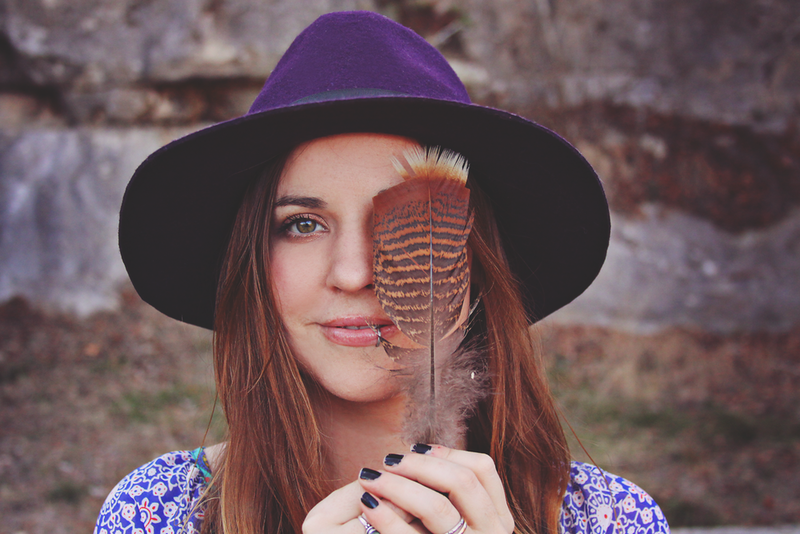 There is a Celebratory Adornment + Magazine Sneak Peek over on the Bohemian Collective! Ive been trying really hard to get back on my green (or purple) drink everyday. Ive failed plenty of times, but each day I will try again. We took Violet out to my folks house several times this week. This was from a little walk through the overgrown field. I'm seriously pretty obsessed with these booties from Buyamba. They are a wonderful company with amazing ethics, and make the cutest shoes! Bella giving the rug a little extra love. Because, she loves rugs. I had to snag the Wild Unknown's two children books for our one day kiddos... they may not be around then. Some things are worth snagging way early. My new autumnal altar. James found me this amazing skull out on my parents property, so I felt it needed a proper place to be loved. James surprised me with a gift of face masks from one of my favorite herbalists, Wild Honey Apothecary. This is the indigo honey mask. I'm in love. It's no secret Ive been dreaming up our dream home for quite some time now. I spent the other night searching high and low online for homes I could see myself in, in the area I would like to move to. Then I took my old home inspiration books off my shelves and sat in bed thumbing through each page. It's nice to dream! I caught Violet with her sleepy eyes. Well one of them at least. She gets the cutest sleepy eyes before bed every night.